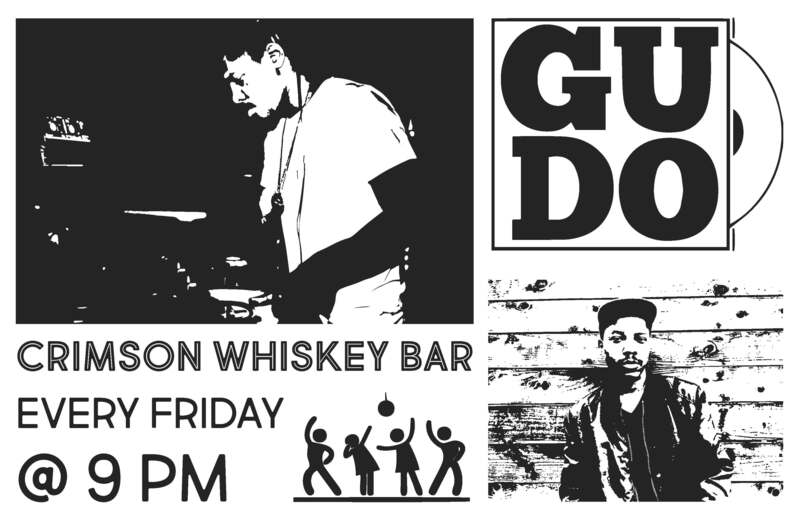 Come out to Crimson Whiskey Bar EVERY FRIDAY NIGHT from 9:00pm to 1:30am to see DJ Gudo perform live! Gudo captures loyal listeners and musical newcomers alike with crates that span hip hop, funk, disco, house, and future R&Bass. During his set expect to hear a masterful blend of up-tempo beats from your favorite tracks, rare remixes, and a few originals here and there.